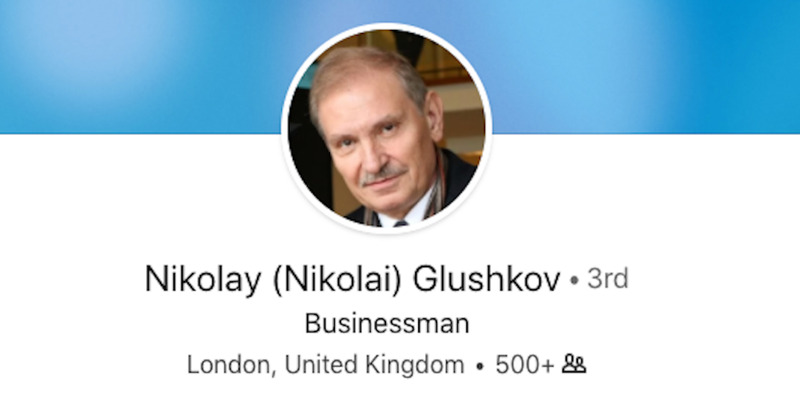 LinkedInNikolai Glushkov’s LinkedIn profile page. Nikolai Glushkov died in southwest London on Monday night. He fled Russia in 2010 and was given political asylum in Britain. In 2013 Gluskhov said he was one of a few people on a Russian hitlist who had not yet been killed. A Russian political exile who once warned that he was on the personal hitlist of Vladimir Putin has died in London. Nikolai Glushkov, 69, was found dead at his home in southwest London on Monday. Police confirmed that “a man in his 60s” was found dead but did not name Glushkov directly. The exact circumstances are not yet clear, and police in London are treating the death as “unexplained” while they investigate further. His death took place in the middle of a diplomatic storm between Moscow and London over the attempted assassination of double agent Sergei Skripal earlier this month. Google MapsThe road in London where Glushkov lived. Glushkov was best-known for being a close associate of Boris Berezovsky, a Russian oligarch who fled to Britain in the early 2000s after falling out out with Putin. Glushkov, who has been an executive at state airline Aeroflot and also worked for Berezovsky’s car company LogoVAZ, followed and was granted asylum in 2010. Berezovsky was found dead at home in 2013, an incident which had some hallmarks of suicide, but which Gluskhov was adamant was politically motivated. Berezovsky is one of 14 Russians whom US intelligence services believe were assassinated in the UK, according to an investigation by BuzzFeed News. In an interview with The Guardian newspaper not long after Berezovsky’s death, Glushkov said he believed he was also a target. According to the RBK Russian news site, Glushkov was found guilty of abuse of power in a financial scandal at Aeroflot, and was convicted in absentia of fraud last year for allegedly stealing more than $US100 million from the company. In a statement on Tuesday afternoon, the Metropolitan Police said they have seen “no evidence” to link the death to Skripal’s poisoning.